Cadence is holding a dance-off at the Night Club – and the winner will get to dance alongside her in a special rooftop show! Do you have what it takes to win? Dance towards your showbiz destiny in this cool Pick Your Path adventure, where YOU get to decide how the story ends. PLUS – go online to unlock Club Penguin items with the special code in this book. 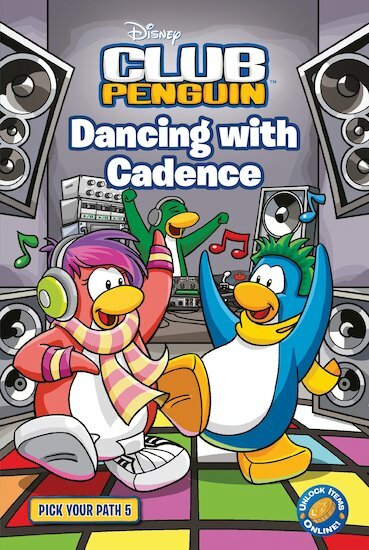 I REALLY want to read this book especially because I LOVE Club Penguin! I love C. P. and you can unlock a book for your penguin with it! i reallylove club penguin and moshi monsters so i really think that i would like this book,plese tell me what its about!